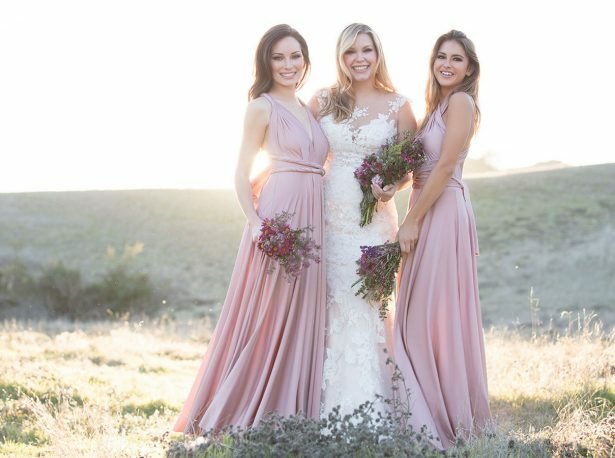 Gone are the days when bridesmaids wore the same dress, and we couldn’t be happier. The mismatched bridesmaid look is on the rise and it is pretty, stylish and a lot more authentic than the matchy bridal party. 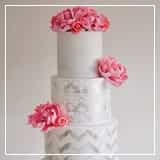 But beyond that, the mix and match style is also a fab opportunity to bring in your bridesmaids’ input. Allowing your girls to choose a dress that fits their style, skin tone or body type is definitely the way to get happy bridesmaids. It’s all about options! Your bridesmaids will feel more confident if they have a voice on what to wear. And this peace of mind will allow them to be a better support system for you and to celebrate the happiest day of your life with ease. 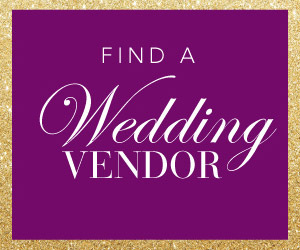 And I get it, there are so many options when it comes to outfitting your best gals for the big day that you may worry about losing that cohesive bridal party look in the process. 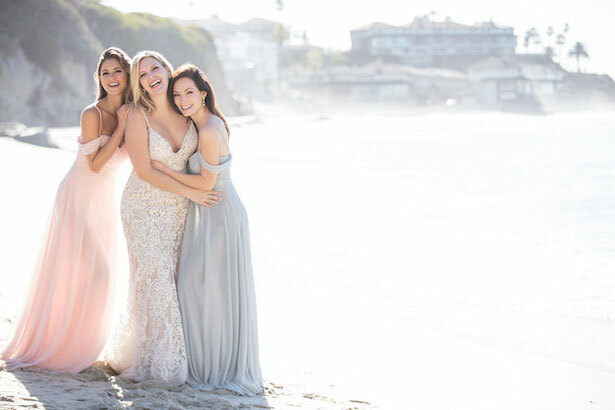 Well, fear not, my friend… To help you accomplish that perfect mismatched bridesmaid look you want, we called the bridal wear experts at Allure Bridals and they shared with us their best tips (aka, the Secrets Of Successful Mismatched Bridesmaid Dresses). When it comes to mixing and matching your bridesmaid dresses, there are three types of looks. Pick the one that will achieve your vision and meet your expectations. Look 1: Different Colors, Same Style. 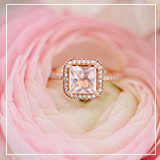 This option is the one that gives you (the bride) more control over the look, while still giving your bridesmaids a say. 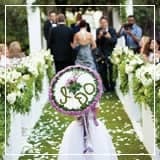 You will not only be choosing the dress style that fits your wedding style, but you will be also choosing a handful of color choices that match your color palette. 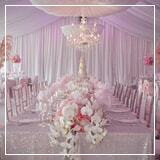 Looking for something flowy and romantic? We recommend these chiffon dresses (Style 1567), they come in a huge variety of the most popular wedding colors so you are guaranteed to find a tone that suits your palette. If you would like to take the mismatched look even further and give your gang even more options, we suggest you choose two similar dress styles. Let’s say Style 1567 and Style 1565. They are both made of the same high-quality fabric, have a similar silhouette, but showcase a different neckline. Look 2: Same Color, Different Style. This is my personal favorite option! I just think it’s super organic and chic. 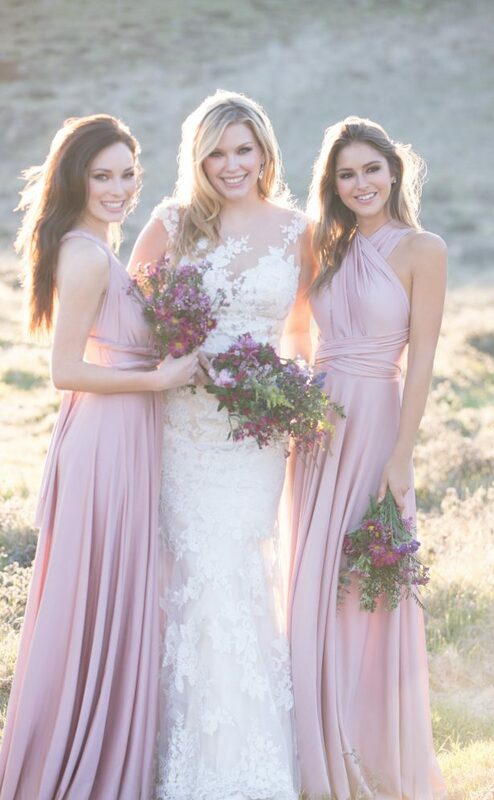 Give your bridesmaids the exact color you would like them to wear and let them come up with their own dress style. This is a great option for the laid back bride — just tell them to get a Navy gown from Allure Bridesmaids and go on with your wedding planning. Perhaps you can weigh in on the length and ask your girls to get a long dress so you can get a little consistency. But, other than that, let each girl decide the silhouette and fabric that fits her personality and don’t worry about anything else. You can take this mismatched look even further by telling your bridesmaids to get a certain tone. For instance, get a dress in a light pink hue. 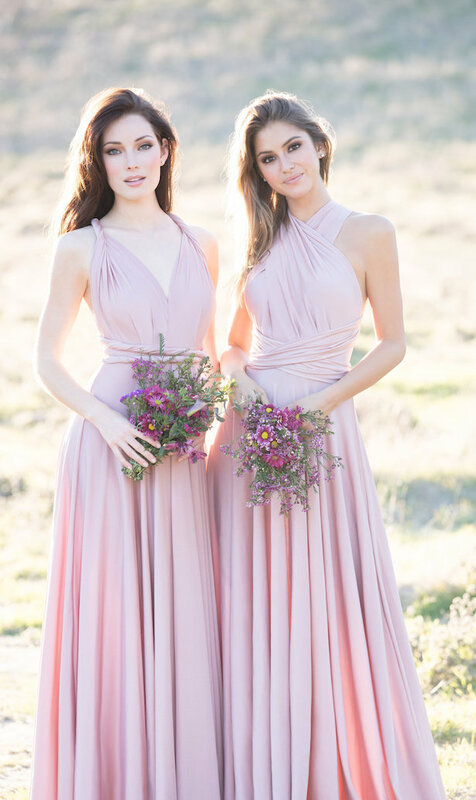 Allure Bridesmaids carries so many variations of this color — there is baby pink, pearl pink, blossom, dusty rose, light pink, etc. I mean the possibilities are endless! Oh the ever-so-versatile and ever-so-chic, convertible dresses… they are just the perfect mix of smart and sleek! The convertible dress is designed to be wrapped in many different ways creating multiple styles to flatter all sizes and body types. 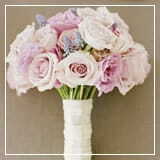 They are the perfect choice if you want your ‘maids to look cohesive but still be able to show off a bit of personality. Your besties will be thrilled to personalize their dress the day of the wedding. The second biggest secret is that, when it comes to a unified aesthetic, it is all about the accessories and the hairstyle. 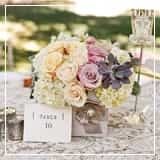 Every girl is probably already carrying the same kind of bouquet, but elements like same earrings and same hairdo would tie up your entire bridal party look even further, even when everyone is wearing a different dress. And now you know! Let your girls wear different dresses, follow these tips and your bride tribe will still look like your team… your bridal party! 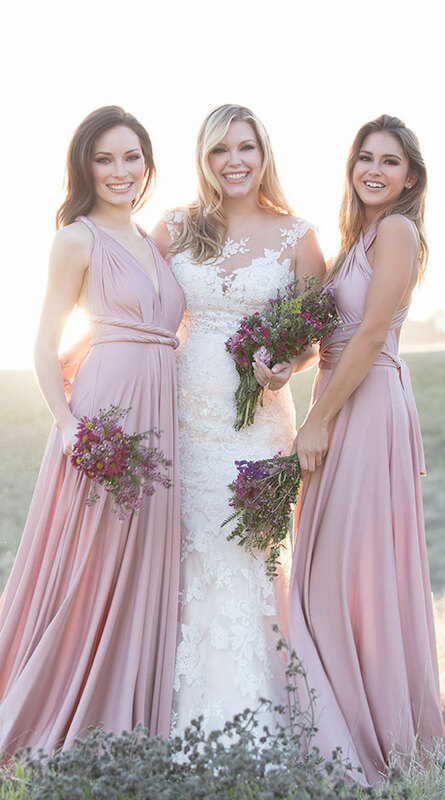 Allure Bridesmaids’ simple, high-quality fabrics will make it more likely that your bridal party will actually re-wear the gown. Their dresses are classics that never go out of style and that your gals could make a second appearance in. A total win-win! 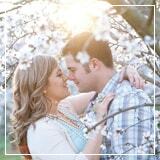 This post has been sponsored by Allure Bridals in partnership with BrideClick, but concerns our own opinion. Thank you for supporting our partners.